Bangalore Metro Rail Corporation Limited (BMRCL) has invited tender for the first phase of the Vellara Junction to Shivajinagar project. Bangalore: Bangalore Metro Rail Corporation Limited (BMRCL) has invited tender for the first phase of the Vellara Junction to Shivajinagar project. This comes in wake of the BMRCL approaching European Investment Bank (EIB) seeking a green signal to float a tender for the tunnel network from Vellara to Pottery Town. The cost of the project is estimated at around ₹1,130.61 crore. The tender is invited for interested parties for the design and construction of underground structures covering a of 2.755 km at Vellara, M.G. Road and Shivajinagar in the Reach-6 line in Phase 2 of the metro rail project. As per the recent development, the tender will be floated in two packages in order to make bidding competitive and fair. The project is expected to completed in around three-and-a-half years. Mahendra Jain, MD, BMRCL shared that the tender for the second package will be invited soon. In both the packages the official shared that they will be employing five tunnel boring machines. 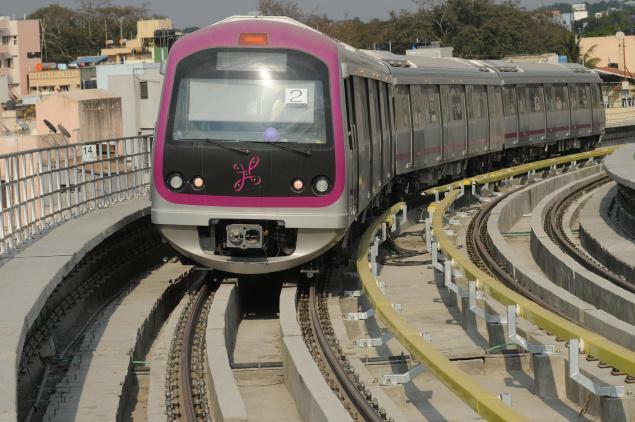 Jain shared that they decided to split the tender in two packages for Bangalore Metro after having a bad experience during the underground stretch from Dairy Circle to Nagawara due. The bidder quoted exorbitant price and it was tough to take a call. Tender invited for: Design & Construction of Underground structures (Tunnels and Stations) of length 2.755 Km (approx.) from Vellara Junction Station (including) to Shivajinagar Station (including) (Chainage 11183.135 m to 13938.328 m) including allied works and 3 Nos. of UG Metro Stations viz Vellara Junction, M.G. road and Shivajinagar in Reach-6 line of Bangalore Metro Rail Project, Phase-2.